Warm & Wonderful Home in the Heart of Beacon Hill! Quintessential Circa 1880 Brick Rowhouse! This Lovely Oversized Duplex has so much to offer to its new owner! Enjoy large scale Entertaining in its expansive front to back open Livingroom/Diningroom! Beautiful period hardwood floors, Great ceiling height & a unique wall of whitewashed brick! 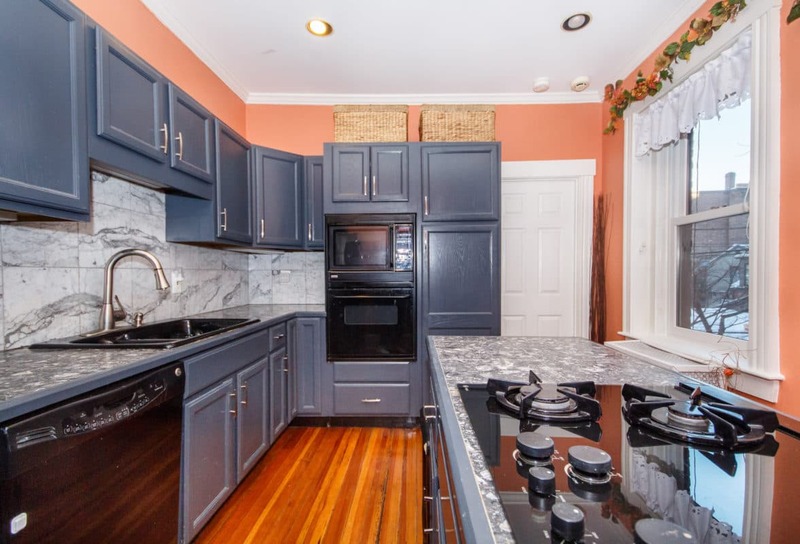 Designer Gourmet Chef’s Kitchen offers an abundance of cabinetry & gas cooktop peninsula! Marble Backsplash & Granite Countertops! Generous Guest Bedroom & Full bath on this level! Expansive Master Bedroom with Exposed Brick & 5 Windows! Another full bath with double pedestal sinks! Laundry in unit. Tons of extra Storage! All of this and your own Private English brick courtyard & patio for carefree grilling & memorable outdoor enjoyment! A Wonderful Opportunity in a well established Building! Click Here to view the Floorplans and More Photos!